Rochester Institute of Technology’s National Technical Institute for the Deaf has been awarded a $443,200 grant from the National Science Foundation to provide additional training for faculty in science, technology, engineering and math disciplines who teach classes in which deaf, hard-of-hearing and hearing students are present. The three-year grant will help develop an “accessibility toolkit” for faculty who are searching for viable ways to adapt their teaching methodologies to accommodate the learning needs of deaf and hard-of-hearing students. 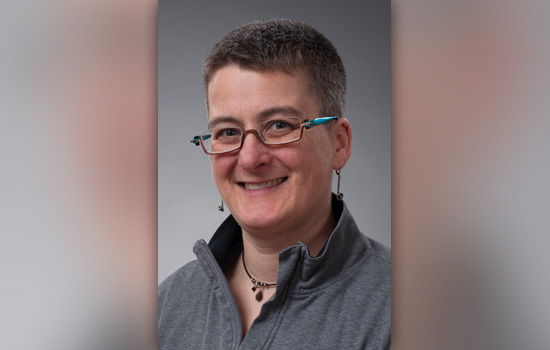 Sara Schley, co-director of NTID’s Research Center for Teaching and Learning and principal investigator, said the project will combine faculty engagement in instructional change, universal design for teaching and learning and student-centered pedagogy that all ultimately enhance inclusiveness within the classroom. Co-principal investigators on the grant are associate professors Jessica Cuculick from NTID and Stephanie Cawthon from The University of Texas at Austin. Schley cites one example. Inside the classroom, faculty may explain complicated STEM concepts by showing slides while sign-language interpreters translate the information to a deaf student. However, it’s extremely difficult for deaf and hard-of-hearing students to look at slides while watching an interpreter. This often results in the student missing valuable dialogue and classroom interaction. Ultimately, Schley and the project team, which includes a cohort of deaf and hard-of-hearing students, will create faculty learning communities—facilitated by hearing and deaf faculty pairs in similar disciplines—in order to brainstorm alternative learning ideas, propose experiments and test the efficacy of the alternatives. In the scenario mentioned above, added Schley, faculty may experiment with pausing after showing a slide or writing on a white board, and checking for “eyeballs” in order to be sure that students have finished reading the information and are ready to shift their focus back to the instructor or the interpreter. Schley also says that the learning communities will be asked to investigate applications using more advanced technology such as “flipped” learning. In this case, faculty might add cues for students that encourage them to pause and review a graphic explanation after seeing a captioned explanation. Robert Garrick is a manufacturing and mechanical engineering technology professor in RIT’s College of Applied Science and Technology. He teaches future engineers using a technology-rich, interactive learning environment with hundreds of instructor and student videos in a classroom with 10 interactive projectors. Schley added that, simply put, the project is about the best way to engage in collaborative learning because there are many different kinds of learners in the same classroom.